I have a new High Tea crush. I tried it, loved it, and keep thinking about it. 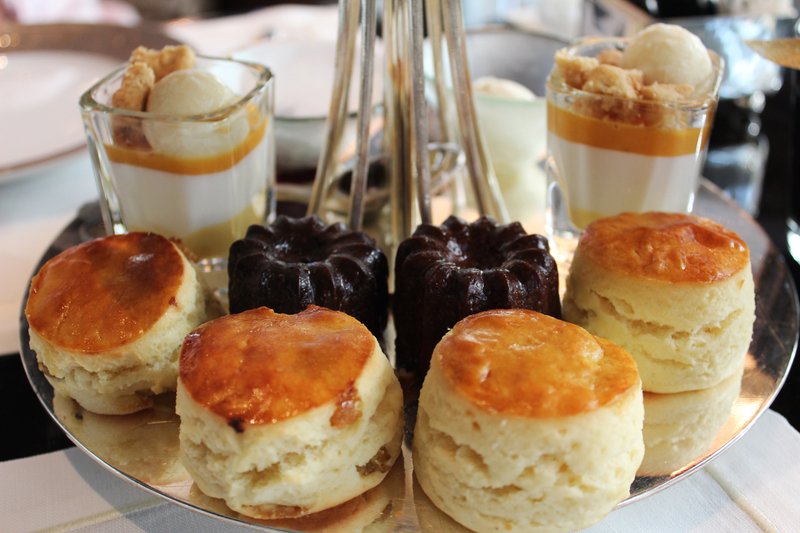 It's the High Tea from The Lounge & Bar, at The Ritz-Carlton, Hong Kong. 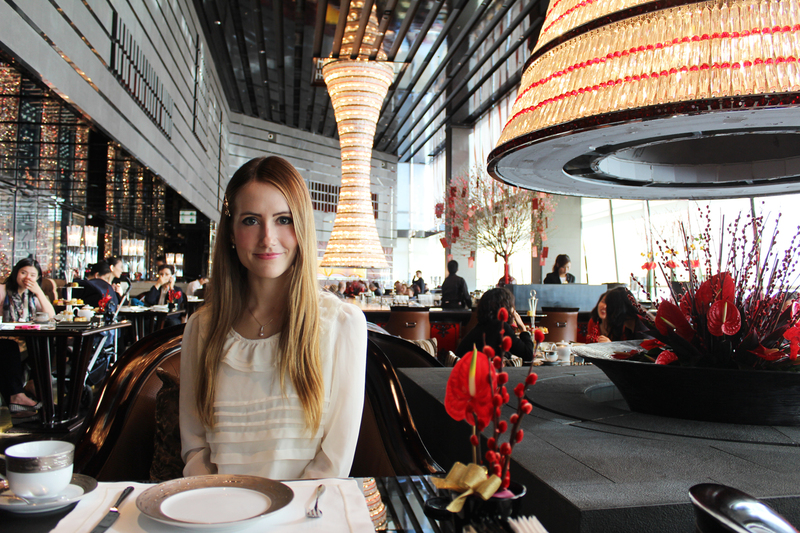 Amazing atmosphere, decor, views, food quality and presentation make of this my new favorite high tea in Hong Kong. The Ritz-Carlton Hong Kong is one of the highest hotels in Asia, occupying the 102 to 118 floors of the International Commerce Centre (ICC), Hong Kong's tallest building. 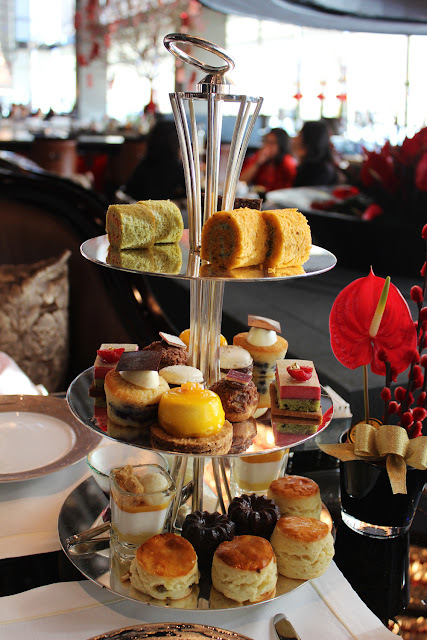 The Ritz Carlton has two choices for high tea, a traditional one on the 102nd floor at The Lounge and Bar, and the signature chocolate afternoon tea on the 103th floor at Café 103. 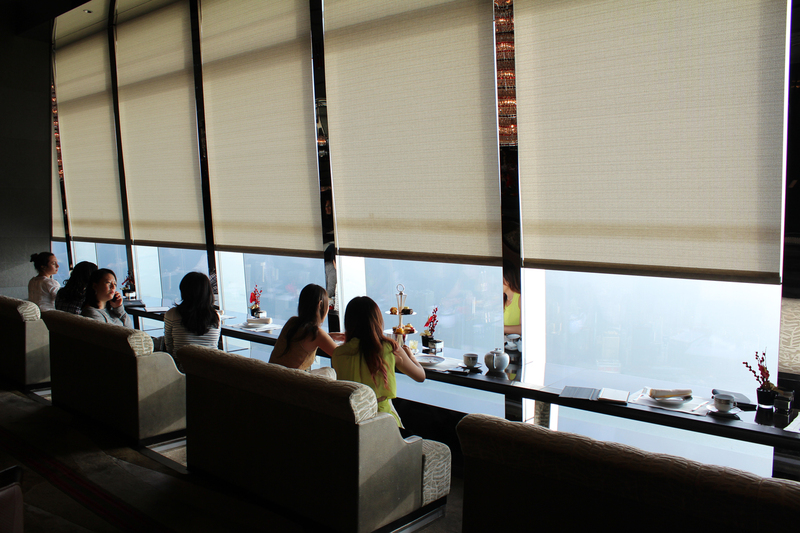 The High Tea at The Lounge & Bar was everything one could wish for when it comes to a perfect high tea experience. Being the second tallest High Tea in Hong Kong right after the one just above on Café 103, the views from The Lounge & Bar are stunning! 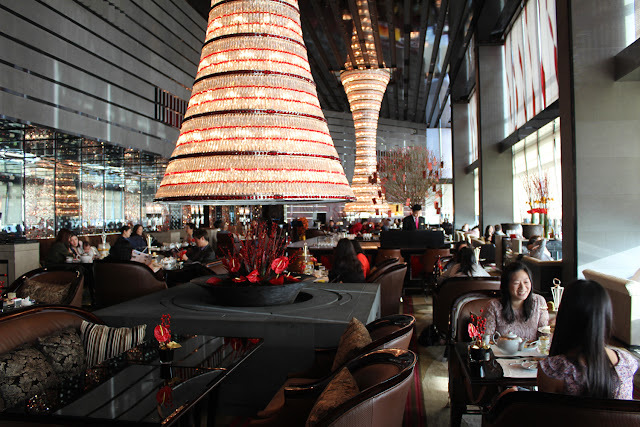 I loved the grand and modern ambiance too, very different from the traditional decor you would picture for an English afternoon tea, and this made it even the more special. The tables are spacious and not too close to each other, so even though the restaurant was full on our visit, the atmosphere was totally relaxing, as an afternoon tea is supposed to be! The food was delicious, and the whole experience was magical. 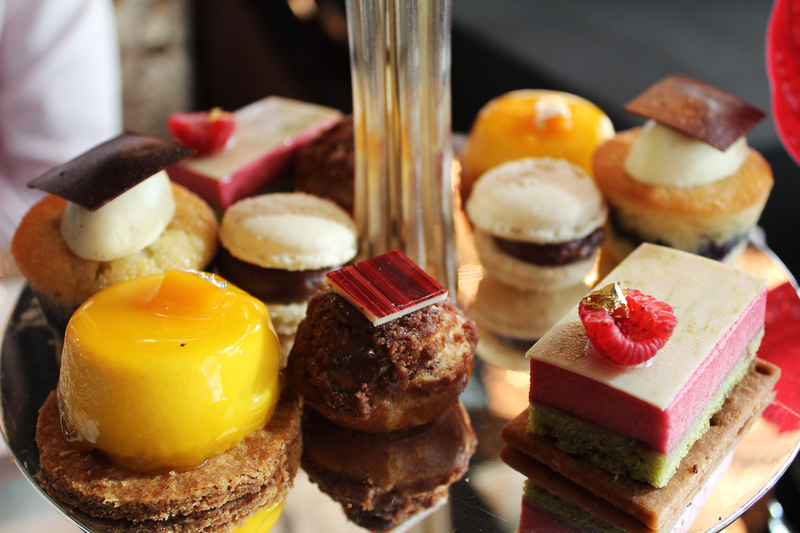 I couldn't recommend this afternoon tea enough! This place looks absolutely magical, and the cakes look delicious! 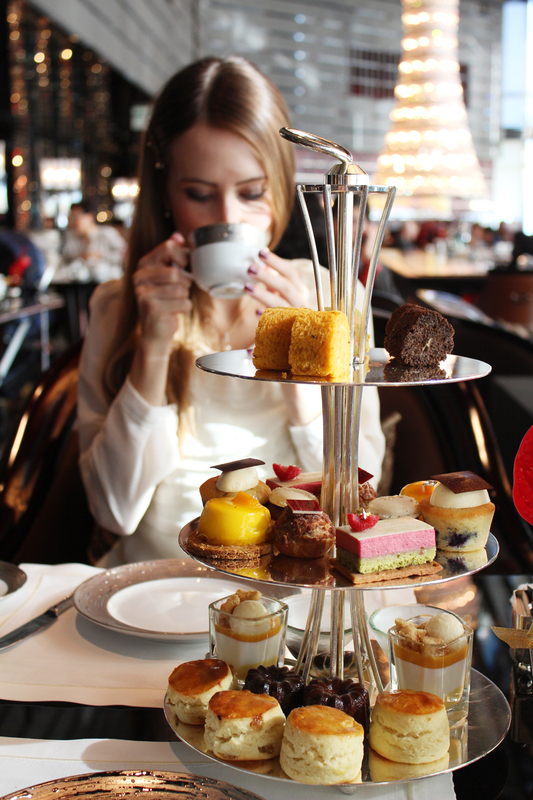 I've never been to high tea before and I know there are plenty of amazing places here in London where I could go to. Perhaps I should treat my mother-in-law soon and take her out - I can only imagine an afternoon in a lovely place like this one would be very memorable! This places looks fabulous and the food looks delicious! hey dear! i just found your blog and fell in love with it! followed immediately, plus those pictures look incredible (& yummi!) i always look for making new friends so maybe you'll like to come and visit me at my 'home' as well? WOW! What a great place! So beautyful!!! And you are a godess! Hi Mark, glad I could help! Please do let me know how you like it. Let me know about Raffles, too, I'd love to visit one day! We take the frustration out of parking management for Apartments, Home Owners Associations, Condominiums, Townhouses Co-ops, and other parking areas. Webparkingsoftware.com has reinvented how parking management should be done. it all looks super delicious. what a mind blowing posting done by you buddy. Thanks for sharing it. I want more posts like this by you in future. Excellent blogs. I really appreciates with your article. thanks for sharing this blog. Bahan dan warna mebel kitchen set murah dan berkualitas. Pikirkan bahan mebel, berapa harga membuat kitchen set atau logam. Ke-2 berapa biaya membuat kitchen set dan kekurangan. Keunggulan jual gendongan bayi hanaroo murah dan apik. Sedang parfum oriflame cowok yang enak sedang perawatanya lebih gampang jual furniture minimalis modern dibanding kayu. Wedding Wednesday: Lace, lace, lace!